Set your Page's Meta information to help people find your content. Set the title that will be displayed in Google Search, an image for when your page's URL is posted on social media, or relevant keywords that help people find your page. Each additional piece of meta data you provide can improve your SEO. Favicon - upload your brand's favicon. It is displayed in a browser's address bar and next to your page's name in a bookmark list. Title - define the primary purpose of your page. Titles are displayed in search engine results - they are significant. Description - describe the content of your page. Descriptions are displayed as the SERP (for search engines) - they are significant as well. Keywords - used by search engines to determine relevancy of your page in relation to a person's search query. Social Image - used as the image when you link this page on a social platform (i.e. Facebook). 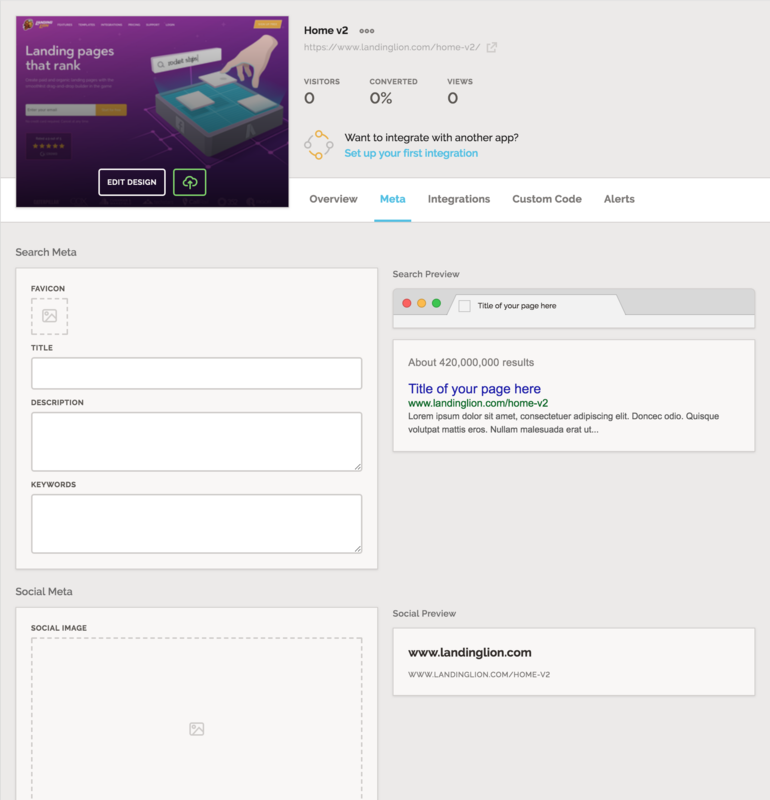 Social Title - used as the title when you link this page on a social platform. Social Description - used as the description when you link this page on a social platform.